The multiuse redevelopment plan for the Bellevue Center mall site calls for 330 apartment units, a 110-room hotel, up to 600,000 square feet of retail space plus some medical or other office space. At a community meeting Thursday night, Crosland Southeast executive Tim Sittema told hundreds of Bellevue residents that the development manager has a letter of intent for the multifamily portion of the project. He also said Crosland was negotiating terms with the hotel group and in serious talks with retail prospects. “We’re excited and encouraged about where we are with that,” Sittema said hours before the meeting where he cited plans to turn the property featured on deadmalls.com into a place where families could spend quality time. Under the $100 million-plus redevelopment plan, the largely dormant 1 million-square-foot Bellevue Center would be torn down and replaced by the retail-driven, multiuse project. A Sears store and Sears Auto Center are the only businesses open at the 75-acre mall property. 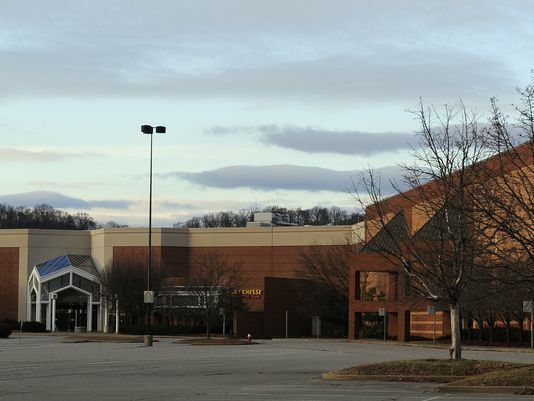 Successive redevelopment efforts have stalled since Bellevue Center mall closed six years ago. Metro Council later approved $12.3 million in tax-increment financing to aid the redevelopment of the mall property, but new action would be required from the Council and the city’s industrial development board for Crosland to benefit. Charlotte, N.C.-based Crosland is the joint venture development partner of the Bellevue Center mall owner, real estate investment trust Retail Properties of America Inc. of Oak Brook, Ill. The Providence Marketplace shopping and dining area in Mt. Juliet is among Crosland’s other development projects. At the meeting, Sittema shared Crosland’s site plan with residents and discussed the planning and zoning process, including his company’s plans to seek an amendment to the planned unit development to allow for the mix of uses in the configurations that it anticipates. Sittema said Crosland hopes to start demolishing the mall before the end of next year with the multiyear construction to be finished in 2017 or 2018. Crosland hopes to negotiate with Sears to either terminate its lease, relocate its store within the project or try to work around its location during construction. The 500,000 to 600,000 square feet of retail space won’t be in an enclosed mall.